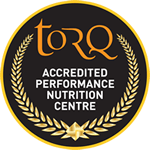 We’re now well into season 1 of The TORQ Fuelled Col Collective Series. 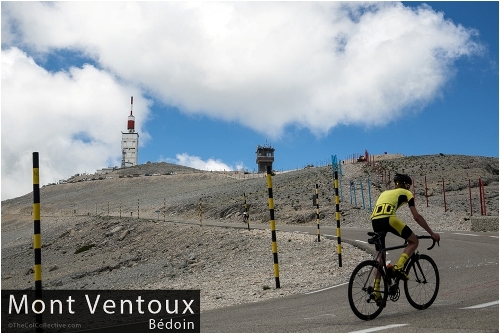 Here Mike Cotty brings us the 4 latest episodes covering The Col d’Aubisuq, The Passo Galvia, Col Du Glandon and Mont Ventoux. Col d’Aubisque – The first ever climb that we filmed as part of The Col Collective, on June 16th 2014, so for that reason alone an ascent that will always be close to my heart. I’ve been fortunate enough to ride the Col d’Aubisque from Laruns a number of times in the past and every time I get the same feeling of nervous excitement inside, knowing that at this point I’m heading deep into the high mountains. For me the Aubisque really marks the gateway to the Pyrenees and is the entrance towards a playground of cols that have not only played centre stage for the professionals in races like the Tour de France, but also for thousands of amateur and cycling enthusiasts (like me) that simply want to experience the climb for themselves. 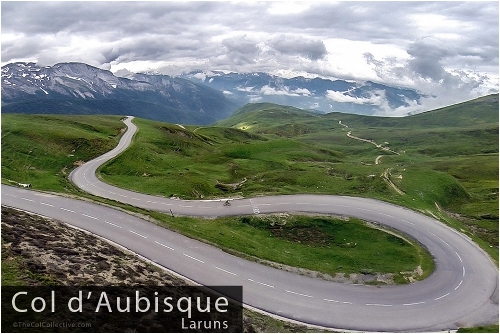 Hautacam, Tourmalet & Peyresourde all have their stories, but the Aubisque is the one that gets things started. The goal is to make it to the summit, so take your time and whatever happens don’t forget to look around and enjoy the view! 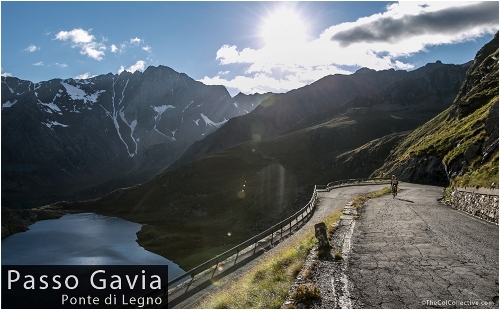 Passo Gavia – I’m not quite sure as to what it is that excites me so much about the Passo Gavia? Perhaps it’s the iconic snowy images of Andy Hampsten from the 1988 Giro d’Italia that really set my imagination free as a kid? Since then, I’ve ridden it in the cold, the rain, the wind but also in glorious Italian Alps’ sunshine – the type that gently warms your soul from within as you put the whole world on pause and simply enjoy the gift of being on your bike and breathing pure mountain air. Whatever conditions I’ve faced, I always get a special feeling when I’m on the Gavia. Whilst its neighbouring Passo dello Stelvio may enjoy more of the limelight, for me, the Gavia has everything that I enjoy most about Alpine cycling – tranquility, tiny narrow roads, steep pitches, busted up tarmac and some of the most sensational scenery I’ve ever been blessed to see. Such a hard climb, but so rewarding. The Passo Gavia is absolutely one of the greatest climbs you’ll ever ride! 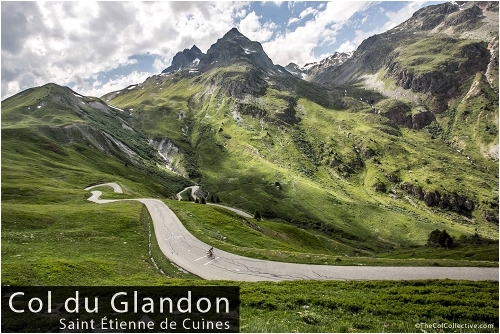 Col du Glandon – Once upon a time there was a guy who though it would be fun to ride 677km non-stop from Évian-les-Bains to Nice across the heart of the Alps. 11 hours from the start and with 250km in the legs, all seemed to be going ok, until he hit the latter slopes of the Glandon and suddenly beauty turned into the beast within. As the gradient begins to kick up, the wind funnels down from the top of the mountain and hangs above double figures for what seems like forever. 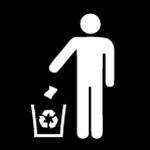 However, don’t be put off by my lunacy! The Glandon may have made me hurt so very much in the past, but it’s also one of the most enchanting mountains I’ve ever experienced and for that reason, I find myself continually coming back for more. There are moments when you’re barely moving and then suddenly, as you approach the summit, you can feel pure life being inhaled back into your lungs. It’s as if the mountain Gods have taken a ribbon of tarmac and thrown it out of the sky from 2,000 metres to form a 20km playground of pure escapism. Now that’s the sign of a truly special climb. We hope you are enjoying the series as much as we are! The good news is that there is still plenty more to come.  Look out for the new Col Collective website, which is due to be launched in the coming days.